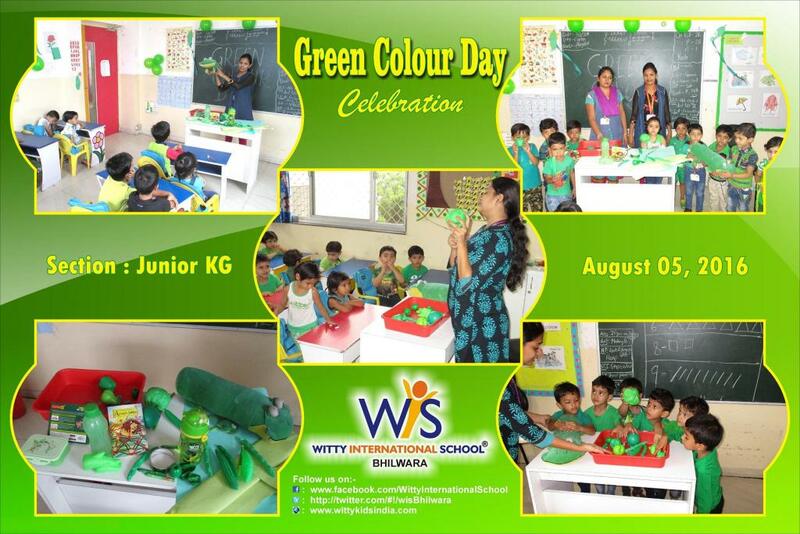 The little Wittians of JR. KG celebrated green colour day with full zest. The kids along with the teacher came dressed in green. Teacher decorated the class with green flowers, trees, frills balloons. Teacher showed them a video of four friends followed by stencil painting. Kids enjoyed AV time and asked several questions. The kids were able to identify green colour objects.